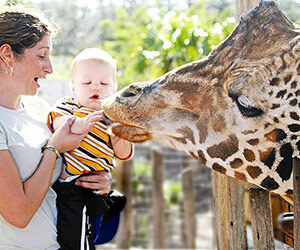 Greetings Tampa Bay, Jessica here with a Tampa tourism update about the Lowry Park Zoo&apos;s exciting Spring calendar of events! As we wrap up the month of March and look forward to even more warm weather in April, the Zoo has got lots of fun activities for the entire family to enjoy!! 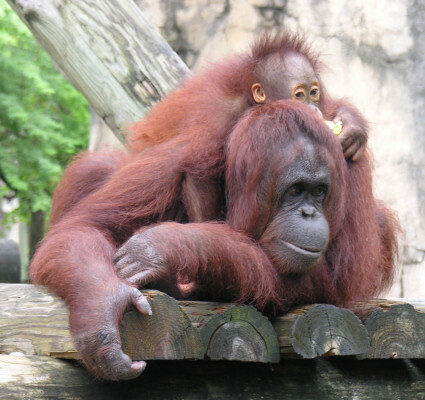 Beginning with the first Friday in April at 11:00 am, you can attend the Orangutan Egg Hunt... watch the Zoo&apos;s orangutans have some Easter fun with their own egg hunt, an annual treat for the primates and Zoo guests. (The egg hunt is included with Zoo admission). Next, on Saturdaym, Aprill 24th from 9:30 am to 5:00 pm experience a Party for the Planet -- Enrichment Day. Celebrate the living Earth with a day of family fun and discovery. Learn new ways to connect to the environment and make a difference in conservation by spending the day with the animals who share our planet. Enjoy a wide variety of animal enrichment activities, educational displays and exhibits throughout the Zoo. (Enrichment Day activities are included in Zoo admission).